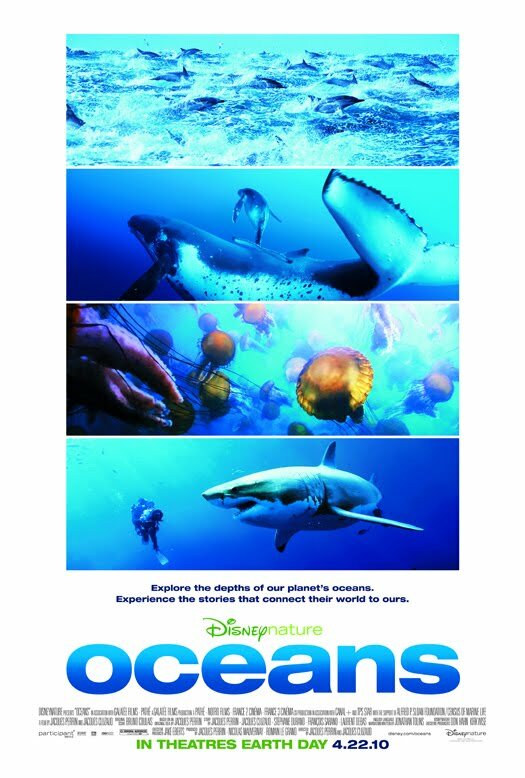 Disneynature's next epic adventure 'Oceans' after last years awesomely panoramic 'Earth' was released on April 22nd, coinciding with the global event creating awareness of the Gaian Spirit, Earth Day. Beneath the surface of the sea, on the other side of the mirror, life's primitive harmony reaches down to unsullied depths. The film sets out to meet the creatures of the sea: those that are known and the many that still have to be discovered. It is a venture into the fullness of the sea to show how prodigiously it teems with life, and into the deepest ocean beds to meet living fossils that belong to world prehistory. Follows the whiplash turns of a shark, the speedy swimming of a swordfish and the gliding manta ray. Explores the dens of giant cod, spiny monkfish, orange roughy and the giant squid in their natural habitats. Pierce Brosnan is the narrator and Demi Lovato sings the "Make a Wave" duet for Oceans with her boyfriend, Joe Jonas.